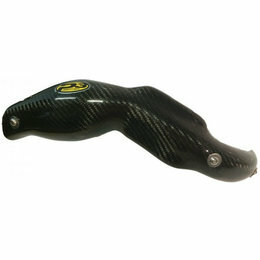 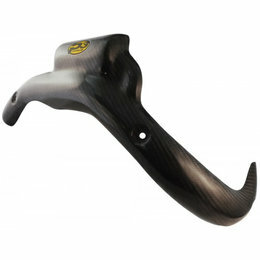 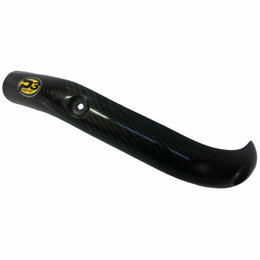 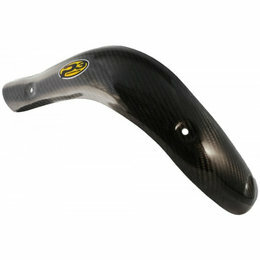 P3 carbon fiber composite 4-stroke head pipe guard/heat shields are a must for any 4-stroke rider. 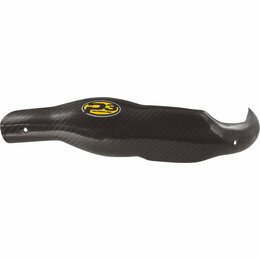 This product serves three purposes: 1. 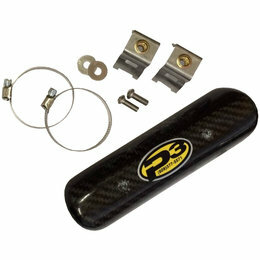 Heat shield keeps your expensive riding pants and boots protected from super heated exhaust pipes; 2. 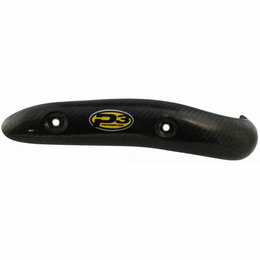 Pipe guard protects your sensitive head pipe from unwanted dents and dings; 3. 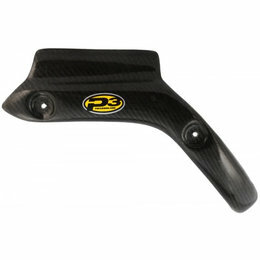 P3's polished carbon product and colorful logo gives your offroad machine a full factory racing look.